Showing results for tags 'oysters'. What Kind of Mushrooms are you Growing? I found this cluster of mushrooms on a fallen branch, im not 100% what type of branch it is. The branch was under a maple and a beech so i will assume its one of those two. 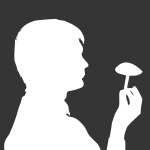 Im awaiting a spore print now, i will post as soon as i get some spores. They have a very pleaseant mushroom oder, but it does not smell like anise which seems to be a constant theme in oyster mushrooms. My primary concern about this mushroom is the fact that the stem seems to be alil long for an oyster. I have never actually found a oyster mushroom so i would like to see what you knowledgable folks have to say. Thanks for any help. Im almost certain these are oysters but im fairly new to mushroom hunting so i wanted a seconed opinion from some folk who were a tad more educated on the matter. Gills run down the stipe, tanish color, dense white meat, and growing on a log across the street. Thank you for your time. Hello! Found a BUNCH of these this weekend in So. NH. I have never found oysters this late in the year, but can't see what else they could be. They were on a rotten log. No serrations on the gills, no stems. Thoughts? thanks! I've been out of a few times over the last 10 days in the Raleigh NC area since we've had some good rain over the last 2 weeks. I shared some of these via Facebook, but thought I'd share them here as well. The first trip was on the way to Western NC to visit the parents. I used the NOAA NWS historical precipitation to find a 3-4 inch of rain hot spot near Winston Salem, just off I-40. Found a spot called Salem Lake Park with long greenway around the Lake surrounded by a heavy hardwood forest. Found some bolates as well as my first chanterelles along a moss covered bank. Enjoyed in an omelete the next morning. First chanterelles. Small, but enough for a meal. After a trip to Boulder last week I was ready for hike this weekend. Unfortunately I was late on some of these, but gaining knowledge so I'll be ready next time the chicken and black staining polypore re-emerge. Found my first local Chanterelle. I could be wrong so did not eat these, but they were growing in a wash area, on the bank, moss and evergreen/oak forest. Although the yellow one had yet to break the veil, it's characteristics were just like the chanterelles found a week before. In hindsight it should have been left behind to mature. The orange ones were very small, but forked false gills. orange and yellow chanterelle old chicken. First chicken of the woods. Came close to this area a week before, but turned around just before this tree. Notes taken on date, so next year I'll be ready. young oysters. Found on down poplar. Lots are really small ones were left. Unfortunately I won't be able to go back to harvest. I took enough for a sauteed squash and oyster mushroom dish. Black staining polypore. IDed via Facebook. This had be stumped as it looked like maitake. I thought maybe an old chicken of woods, but Ben Ruben helped identify as meripilus sumstinei, black staining polypore, something new to me. Must have been at least 20 lb of mushrooms in 4-5 clusters around the base of old oak. I finally managed to go out in the rain yesterday and find some edibles. I got into a good bit of oysters and saw honey mushrooms, and then stumbled onto a huge patch of Ganoderma growing out of the ground. Not a bad day all in all. The pink one (Phlebia incarnata) I'd never seen before although I take it it's fairly common. I have not done much fall foraging in the east so this was the first time I'd seen this brilliant pink thing growing alongside Stereum and oyster mushrooms. A real beauty!